Goosedale Fisheries is located close to Bestwood on the outskirts of Nottingham city centre. 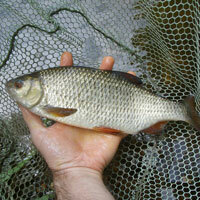 The fishery has two lakes, one is a superb match lake, the other a large specimen carp lake. Nelly’s Lake – a 2.5 acre match lake with depths ranging from 2ft to 7ft. 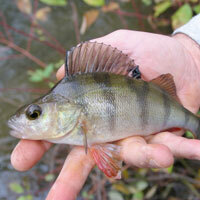 Fish wise, there is a large head of carp which range from 8oz through to 12lb. 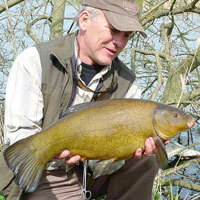 The lake also holds a good selection of skimmers, rudd, roach, tench to over 4lb, and perch. Greylag Lake – is the largest of the two lakes at Goosedale. 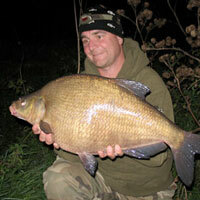 At a massive 16 acres, the lake holds an excellent head of large carp ranging from 5lb up to over 30lb. This lake is now a syndicate carp water, with fishing exclusively for syndicate members. Address: Goosedale Lane, Off Moor Road, Bestwood, Nottinghamshire, NG6 8UJ. Off Moor Lane, turn on to Goosedale Lane and continue up the main drive, past the two cottages on the left. Then take the second gate on the left, follow the tree lined road and turn left and the end of the road into the fishery. Keeping the large lake on your right hand side, follow the road round until you come to the fishery car park.